You need me. I’ll say that again. You need me. People always tell me how cool, fun and creative my work is once I explain it to them, but my challenge is in communicating the RESULT of the work I do and its BENEFIT to clients. Having a creative job makes my life interesting and it brings smiles to clients’ faces, but what matters most is how I help clients to make their lives better in some way. My work in color consulting encompasses three key areas: home, business and fashion (via personal color analysis). This blog series is broken into three parts, to explain once and for all what exactly I do in each of these three areas. 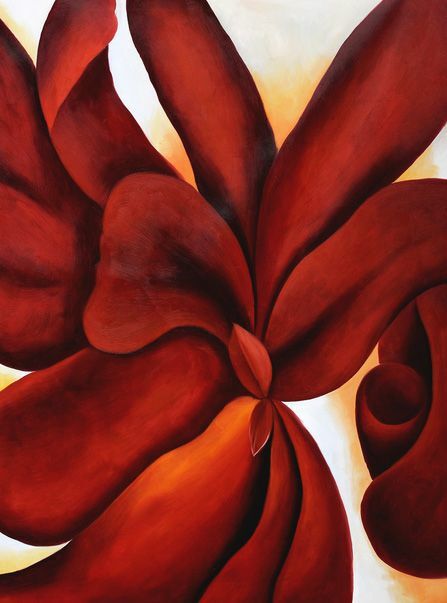 Let’s launch into part 1 of my work; that is, color for the home or office. That is going into a residential or commercial property and selecting every single color surface in the place, or at least the surfaces needed to bring the whole space into alignment. Sometimes it involves a simple exterior siding color. Other times I go into a full remodeling project and need to specify counter tops, flooring, fixtures, accent colors and paint. When do you need my help? The simple answer: You need me when you are tired of looking at endless carpeting and tile samples, along with the 2,579 paint chips you brought home to “test.” You need me once you’ve exhausted yourself overthinking and aren’t making any real progress. I SAVE YOU HOURS of TIME, ENERGY and FRUSTRATION in this process. We narrow down color choices together and I bring your entire space into flow and visual harmony. Together we create color palettes for the space, make final determinations for paint and flooring, and even review accent colors and fabrics where needed. I BRING YOU PEACE OF MIND IN YOUR OWN HOME OR OTHER SPACE. Do you know that failure to create color flow in your home will actually affect you mentally and physiologically? This is scientifically substantiated. Just do a Google search using keywords ‘color’ and ‘psychology’ and ‘physiological effects.’ Proper use of color in the home or office creates balance, peace and a sense of well-being. Color can overwhelm and confuse just as easily as it can calm and soothe the mind. Let me get it “right” for you. when we select colors that resonate with you, ones that look like they belong in each room and corner of your home, and ones that express your aesthetic. I choose color schemes that bring you JOY. especially when selecting hard surfaces such as marble, tile, wood and granite. These materials REALLY do need to be sourced properly factoring in color scheme. Let that one sink in. There is no one standard color that can sell your home, contrary to what you may have heard. Each home is unique in terms of the surfaces contained within. Let me select the best colors that are neutral enough to appeal to buyers AND that coordinate with all other surfaces. When you find yourself in need of color help for the home, office or commercial property, please call me, friends! Schedule a 15-minute complimentary phone call to assess your color needs. Sometimes it turns out that I CAN answer your question(s) in a simple call. Book an in-home color consultation. I am available in Houston and surrounding areas! Rates vary depending upon scope of project, home square footage, number of surfaces to specify, and if product sourcing is involved. Live colorfully + joyfully, friends! You say you want gray, but what KIND of gray? Today I’m chatting about the color gray. The key to understanding gray is to look at how cool or warm it is, and what undertones are present. Here is the tile sample that I am working with currently. Coolness or warmth of gray can best be detected by color comparison. Remember: looking at a small paint chip tells you virtually nothing about a color. You can identify it as gray, and maybe even a “cool” gray, but until you compare a color to other colors, you cannot understand just HOW blue, or cool, it is. At first glance, I can see that the overall undertone in this gray is blue, but it is key to look at colors in context. See below. What do I mean by looking at color in context? Well, it is important to compare different types of grays next to one another. This is a concept that I practiced during training with Maria Killam www.mariakillam.com, the inventor of a brilliant system which breaks down colors by undertone. Side note: I am now a certified Maria Killam True Colour Expert, using her materials and color boards. Below you will see that we have several types of grays. Shown below are blue grays, green grays, and violet grays. Missing from the photo is blue-green gray. Looking at these colors alone might be difficult to detect undertone, but you can see it clearly when comparing one group of boards to another. To the left you see the blue grays, and on the right we have green grays. Undertone refers to the underlying tones of color you see present in an overall hue (in this case the hue is gray). To the left we have the green grays, and on the right we have violet tinged grays. It is only by seeing these boards next to each other that we can truly detect undertone. To illustrate my point further, take a look at the flooring samples below. The first sample pairs best with green gray boards, and the second sample pairs with the violet grays. Armed with this information, I can make a more informed choice. The whole purpose of paint is to bring into harmony the existing fixed elements in the home. We want to create visual flow among significant furniture pieces, wall coverings, flooring, cabinetry and counter tops. Below I determined that blue gray is the best color category for this tiling. A selection of grays with a blue undertone…. Until next time, friends, keep rockin’ and embracing color as often and as much as you can! I had the distinct honor and privilege of being hired by Neiman Marcus to be a featured guest at their 2018 Fall Must Haves event with TV/media personality Courtney Zavala of Houston Life TV earlier this month. Courtney was the host, and I was there to offer my color analysis services to guests following the fashion show. It was a MEMORABLE NIGHT indeed. 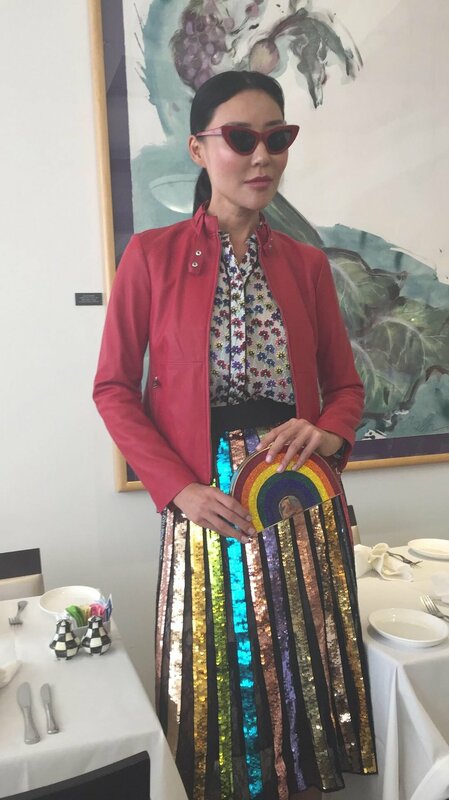 After the 21-or-so-look fashion show, I helped over 40 attendees determine which metallic tones best suit them based on an in-store mini color analysis I did with several metallic color boards. This exercise is useful in determining metallic jewelry and cosmetic color choices! The fashion show featured fall 2018 trends, such as peacock hues (think blues, teals, berries, reds and purples), animal print, fringe, cowboy boots and boots in general, sequins for day and night, power tailoring and leather everything. Not only did Neiman Marcus put on an amazing fashion show, but they also let me select my own outfit, shoes and jewelry. Check out my look for the evening. 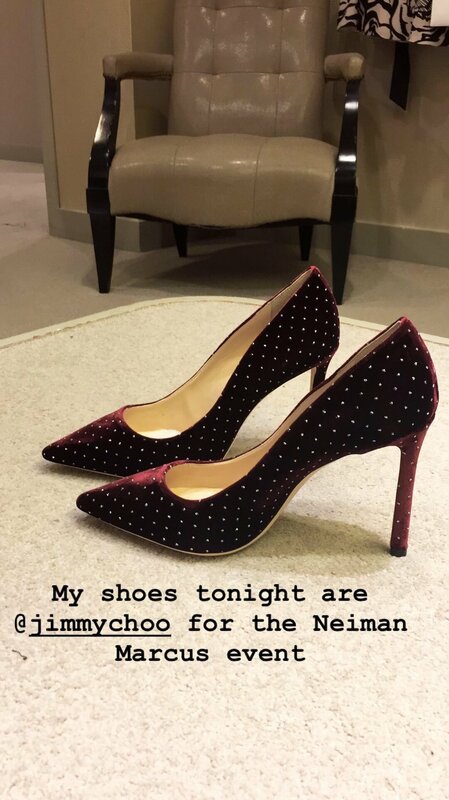 I was all about combining power suiting (navy blue, the new black), sequins and peacock hued shoes embellished with cubic zirconium studs by Jimmy Choo. I have two videos to share here with you, and both of them recap the event in different ways. The first video below was created by my business colleague and dear friend Ann Ngo. Ann is a well-known YouTuber and the creative director of Youtique Bridal, a DIY inspiration and lifestyle site for creative brides and creators in general. Please do subscribe to Ann's channel below, and enjoy this recap of the fashion show! The second video is by Houston Life TV, Courtney Zavala and her camera guy Brian. Thanks to them for shooting coverage of this event, and for interviewing me about what I do with my color boards! Again, this experience was a beautiful one for me, because I got to share both my love of color and fashion with everyone. It was a great honor to be invited/hired by Neiman Marcus to be a guest at this event. Hey, hey, hey, everybody! Today's post is the last of this month's theme of 2019 home decor trends. I am talking about blooms + floral and an accompanying color palette I created using Benjamin Moore paint colors. As with any trend, ask yourself if you really like the trend before you incorporate it. If you want to incorporate it, then the next matter to consider is how MUCH of the trend you want in your home. Lastly, consider how small or large scale you want that trend or print to appear in your home. A very logical and practical way to incorporate florals is by way of bedding. Do I have to really write that? It seems obvious to me. Whether florals are 'in trend' or not, they still lend a classic feel to any room. I found this wallpaper on www.etsy.com and fell in love with it. You know, everyone complains about how awful wallpaper is to apply and especially to remove, but there are some very easy-to-remove options available nowadays. Here's an idea: Why don't you buy the wallpaper, cut it into several pieces, then frame them as a collage on the wall? To me, that would work in a children's nursery, powder room, foyer or even home office. Do I love it for a men's study? N to the O. Side note: I am noticing large scale florals offered on wallpaper, and to me that translates as more modern than the smaller florals I see on bedding and throw pillows. Now HERE's how I would personally work in the floral trend for my home. I envision a small piece of furniture combined with plants and artwork here and there. As a matter of fact, I would bring in stripes, too. I am NOT AN INTERIOR DESIGNER. Again, I am not an interior designer, but these two trends go hand in hand in my humble opinion. As a color specialist, I do ask that you make sure the stripes and florals share similar color schemes. 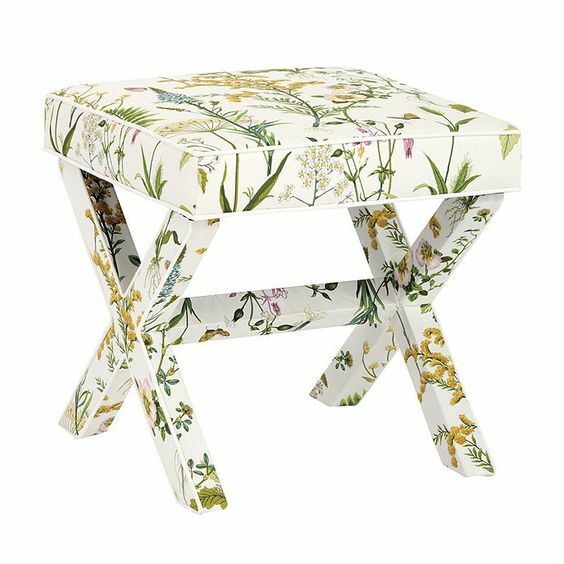 The good folks at Blue Pacific Fabrics created this floral print! I imagine the floral enthusiasts taking this fabric and slip covering a couch, or perhaps doing curtains. Either way, this print is fun, lively and very much on trend for 2019. You will note that the green I chose in paint is not the same green as what you see in the last floral image. That is intentional. I based this color selection on a multitude of images and my observations. Friends, color lovers and fashionistas alike! This month my focus is on home decor trends emerging from Milan Design Week. If the Italians say it is going to be in style, then I am running with it, y'all. Today's focus is on geometrically inspired decor. This trend has a minimalistic feel for sure. I love the clean, uncomplicated lines in geometry. Metallics are often incorporated in this trend, as well, and we are seeing a lot of geometric accents such as lamps and tables. I have always been a huge fan of throw pillows and feel that they are great ways to bring in a touch of a trend without changing the entire aesthetic. Let's not forget the DIYers in the mix. 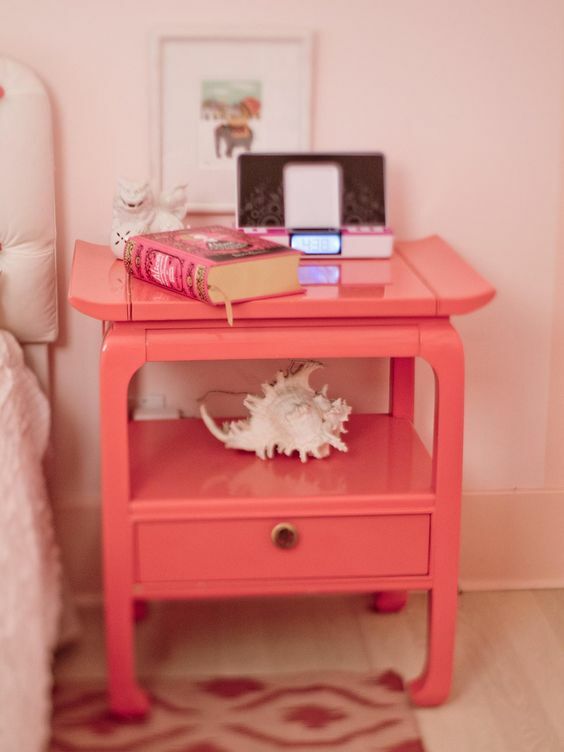 I love the idea of transforming a piece of furniture with stenciling or paint to create modernized look. Speaking of DIY, later this month I will be announcing some faux finish workshops featuring my friend (and world renowned faux finisher Jenny Weaver www.fauxonline.com). STAY TUNED! We will be holding workshops at my client SRH Paint Co's location in Spring, Texas. Next week my focus will be on some faux finish trends for 2019. Stay tuned! As always, I hope that this finds you well in your lives, and that you are fully embracing color. Life is boring without it and you know it!! I want to talk today about my latest professional certification, Specifying Colour With Confidence, with Maria Killam www.mariakillam.com. Over the past 12 years, I have feverishly pursued color education, having been credentialed in about 5 different areas. Just as is the case with other professions such as medical and accounting, in the broad field of color there is a need for continuing education. LFB Color Consulting, my company, is all about remaining at the forefront of the color industry and staying on my/our A-game. The training with Maria, aptly titled "Specifying Colour With Confidence," was held in Dallas, Texas, back in May at the Stoneleigh Hotel. Over the course of three days, we discussed color theory, detecting undertones presented in whites and neutrals such as beige, greige and taupe, and the business of color specifying and how to market yourself. I deliberately waited until now to write about my training and the experience, so as to have a few months to determine if the course was "worth it." Being "worth it" can mean many things to many people, right? In my case, I determine if a course is worth both my time and financial investment based on FIVE criteria. All five criteria must be met before I recommend any course. The five criteria are: return on investment, the presenter's knowledge base, his or her clout in the industry, quality color tools to be used following the training, and post training support. The course is a three-day event involving tuition, hotel, and some meal and transportation costs. Have I recouped all of my investment? YES, and it has only been a couple of months. As a business owner, I look at things from a long-term perspective. A course is worth my time and money if I can recoup full investment over a span of about 12 months. I'm pretty much set to recoup all costs in the next couple of months, so we are ahead of plan. Yes, honey! Having this certification distinguishes me in my field, as well, because it demonstrates that I took the time to gain an even deeper understanding of paint color and color in general. This gives me a competitive advantage and will result in more clients. I am already seeing that. I will shoot straight with you all. I only want to be associated with the best in my industry. Period. For years now I have sought certifications from those color trainers who have the most experience in their given field. I have been trained by some of the color world's best, including Kathryn Kalisz of Sci\ART and Leatrice Eiseman, Executive Director of the Pantone Color Institute, as well as Darin Wright, creator of the personal color analysis system I now use in determining personal colors for makeup + wardrobing www.ebhues.com. Maria Killam is one of the most recognized faces in her field of paint and interiors, with of course exteriors in the mix. Color is a largely unregulated field, so I have to be discerning when considering my choices in training. Maria is qualified to conduct training using her own system because, well, she has lived it and breathed it and made all of the mistakes (She claims this herself in the training, even showing us some of her past projects that she would do differently now and in hindsight) to come full circle and learn WHAT DOES WORK. She HAS put in the time and effort to notice which colors are specified over and over with success. She developed a logical, ordered system for understanding undertones. This system is recognized officially by professional interior design associations! With thousands and thousands of social media followers, Maria has definitely made a name for herself. I have personally witnessed this, as I began following her first on Twitter about 8 years ago. Steadily Maria has developed regular content, expanding and diversifying her service offerings in a very smart and entrepreneurial way. I dig that. She is well-known and at the forefront of her industry. Here is just the best part. I invested in the full set of Maria's color boards to utilize in my color consultations, and they have been a lifesaver. I simply didn't have the time to paint up my own color boards, and Benjamin Moore has over 3,000 colors. Maria simplified my life by having the most commonly specified colors painted up in advance, and these tools allow me to work much more efficiently in my consultations. Between the color boards and my Benjamin Moore architectural fan decks, I am good to go. The in-home color consultations are running very smoothly for me, and the clients are impressed with the professional look of the boards. Another cool perk post training is that I am a part of the closed Facebook group for all other True Colour Experts. We offer support and some level of referrals in this group. I love the camaraderie. Following the three-day training, we are also given many tools and links to access as reminders of what we learned during our time together. In closing, I will share a few of the limitations I found, as this is an honest assessment of the training. Maria's classes are not small. There is such a demand for her courses, and class size is roughly 30 to 40 people. Know in advance that you won't have much one-on-one time with Maria herself. You will have designated time, though, to work in your small groups at each table. There is benefit in that for sure. I had the opportunity to connect with fellow professionals at my table and learned quite a bit from them. Day one of the training is all about color theory. I've been well-trained in color theory and didn't necessarily learn anything new on day one. I'd say that I learned the most on days two and three. Day three was an eye opener in the best way because Maria outlines how she grew her business, provides tips on ways to expand your consulting business, and even shares a cool pro photography tip to incorporate immediately in your social media imagery. Maria herself will tell you that you might leave the class feeling a bit overwhelmed, dazed, foggy and confused. We did cover a lot during the three days, and it is impossible to absorb all of the knowledge presented. Even though we all received paper certificates declaring us to be new "True Colour Experts," it wasn't until I had a few color consultations under my belt that I began to really feel like a pro in this new paint color game. If you have a deep knowledge of color theory, then this training might not be for you, UNLESS you are moving into the area of home interior/exterior color consulting for the first time. This was the case with me. I have a very strong knowledge of color theory and specifying in most other areas of color, but the paint and home surfaces industry was new to me. In closing, I will say that my training with Maria Killam was well worth the investment, I am making a ton of headway in my business, and clients are LOVING the color boards and my methodology applied in each color "situation." I hope that this finds you all well. Last week I began discussing some of my favorite 2019 home decor trends emerging from Milan Design Week. This week my focus is Gen Z yellow. Yellow is the most visible of colors in the spectrum, and it is essential to plan out how you'll use it in your homes. Even the most muted yellows can look quite strong in a large space such as a kitchen. 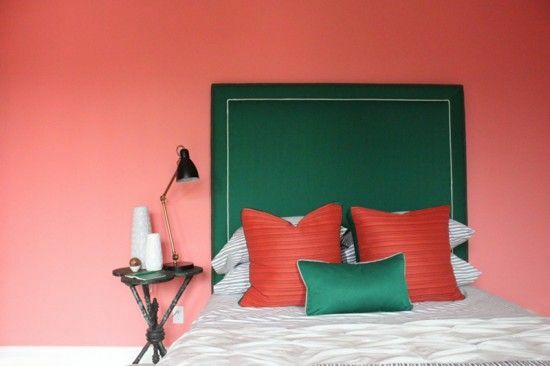 I also feel quite strongly that such a bright and vibrant hue should be used in smaller doses, unless you go very muted OR are able to redecorate your home once the "yellow" phase passes. While mustards and earthy yellows still have a place in home decor, the newest yellow is a bright vibrant hue called "Gen Z yellow." Some are saying that it is a replacement of Millennial Pink. If I were to infuse Gen Z yellow into my home, here's how I would do it, friends. Try some artwork. It is a small way to incorporate color. Source: www.news.buzzbuzzhome.com Incorporate your dose of color with artwork! 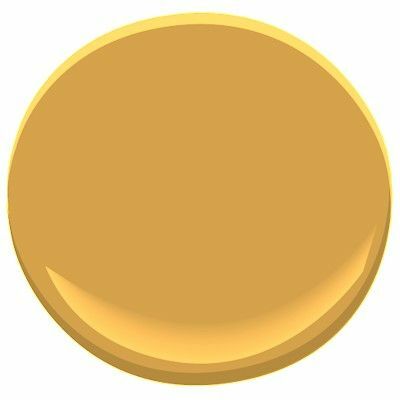 Another way to add a dose of this yellow is painted on a door! 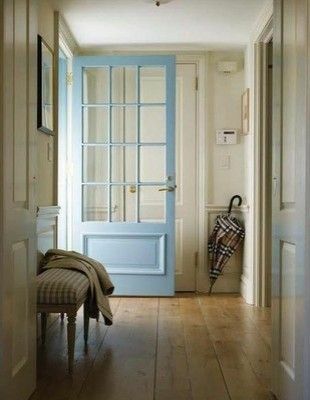 This is a relatively inexpensive option, and the door can be repainted in a different color next season if need be. Source: www.homestolove.com.au Why NOT try a yellow door? It is fun, warm and inviting. Raise your hand if your motto is "Go bold or go home." This section is for you. Why not paint an entire accent wall (or room) in Gen Z yellow and reinforce it with yellow chairs?! 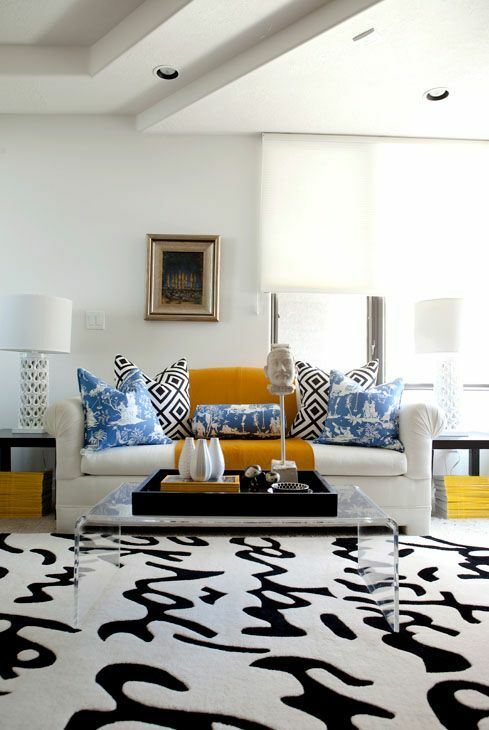 Notice that the other colors paired with the yellow are crisp and bold, in black and white. Now is not the time to add muted colors and neutrals. To illustrate my point about this bright yellow pairing best with other clean, saturated, vivid colors, see the image below. The more muted wallpaper behind this bright yellow sofa is not working that well. I do like it. Do not get me wrong. I just prefer that muted tones be put with other muted tones, and that brights go with other brights. The bright yellow sofa only exaggerates the muted color palette in the wallpaper. Do you want to tone your yellow down in a bit and not be so bold? Well, you have come to the right place. Here are four calmer yellows for you to consider this season. Today's blog post is an exciting one. I am reporting on my three favorite 2019 home decor trends. I first want to share a link to this amazing Italian trend spotter www.italianbark.com. Owner Elisabetta personally interviewed designers and influencers this year at Milan Design Week, then she compiled a beautiful report loaded with valuable 2019 trend info. This is an 85-page report, I am not being paid to promote it, and I simply am delighted to have discovered Elisabetta. If you are in the design field in any way at all, then you will enjoy her thorough coverage of all that went on at Milan Design Week. With that being said, here are my three favorite home decor trends from Elisabetta's report. Though many custom homes will incorporate onyx and other stones in large scale such as counter tops, flooring and tiles, a simple piece of art can do the trick to refresh your home in 2019. 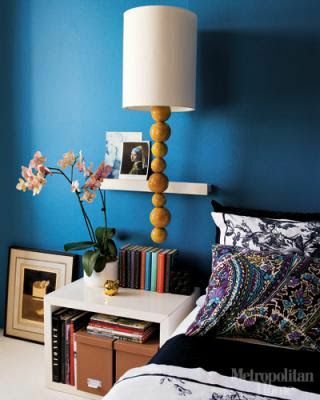 You can use throw pillows, onyx bookends, or even artwork. www.lizmarieblog.com How about an area rug if you aren't quite ready to invest in an expensive striped furniture piece? www.bhg.com Use wallpaper in small areas so that you can change it later if you are bored of it! Jenny is one of the world's top faux finishers who has been in the industry for decades. She and I are about to collaborate on some color + faux finish workshops, so stay tuned. For now, though, let's look at the ways we are seeing patina incorporated into home decor. www.harpersbazaar.com I am seeing lots of patina wall clocks all over Pinterest and other decor sites. This DIY project was completed by The Wood Spa and featured on Modern Masters Pinterest page. Wall art is always a way to add a bit of a trend. This piece is by artist Igor Turovskiy. I always feel the need to put a disclaimer in my blog posts when discussing home decor. Please understand that I am not an interior designer at all. I am a color consultant who must understand home decor trends, though, and how to incorporate color into the overall decor scheme. As always, reach out to me by email lauren@lfbcolor.com or phone 281-989-4086 if you need my assistance in specifying colors. Do post some comments below. I am happy to answer questions here, as well. Yesterday I sat in on Pantone's webinar detailing 2019 home + interior design and color tips. It is my pleasure to break down what I learned and share some of my color ideas with you. As much as I DO love reading trend reports and seeing what's coming down the pipeline in color and design, I confess to not really following trends. In the end, I do what I want and embrace the colors that resonate with me on any given day! NOTE: Many of the beautifully curated images you see below are screenshots of the Pantone webinar and are thus to be credited to www.pantone.com accordingly. Since I am all about color, I want to share some trend information from yesterday's call, along with some of my color palette recommendations for home interiors. What I notice most about 2019 color palettes are the interesting mixes, abundance of options, subtle and bold hues sharing stage, and an emphasis on a full range of greens. My color picks from PANTONE's various color stories for 2019 are included below. I specified Benjamin Moore paint colors, and all codes are provided below. If you are in Houston and need further help selecting paint or decor colors for your home, then please do reach out to me at lauren@lfbcolor.com. My first color picks are inspired by PANTONE's color story MUSINGS. Colors chosen are Antique Coral (1198), Mediterranean Breeze (799), Aurora Borealis (565), Electric Slide (404), Galaxy (2117-20), and Mystical Grape (2071-30). I personally would choose Electric Lime and Mystical Grape as accent colors. Next up we have my color picks inspired by PANTONE's color story called CRAVINGS. My corresponding Benjamin Moore picks are below as follows: Warm Sienna (1203), Crushed Berries (2076-30), All-a-Blaze (1304), Crushed Velvet (2076-10), Bonfire (2001-20) and Peony (2079-30). A third PANTONE 2019 color theme is PROXIMITY. I am a fan of this palette because of its cool, gentle feel. All of the colors are very calming and versatile for home decor. My Benjamin Moore paint picks are as follows and in this order: Central Mauve (1412), Crocus Petal Purple (2071-40), Genesis White (2134-70), Paddington Blue (791), Sea to Shining Sea (789), and Steamed Spinach (643). All photos were found on Benjamin Moore's website or Pinterest with the exception of the image of Steamed Spinach (PHOTO CREDIT: www.thedecorologist.com). A fourth PANTONE 2019 color story is called PARADOXICAL. I am all about it. It is the most bohemian of palettes for home interior in my opinion. My Benjamin Moore picks are as follows and in this order: Americana (770), Glowing Umber (182), Hidden Sapphire (CSP-690), Milano Red (1313), Purple Heart (1406), and Southern Belle (819). Photos are all from Pinterest with the exception of Southern Belle featured by www.thinkmakeshareblog.com. If you know me at all, you know that I do not like to conform to strict sets of color rules. I am not the color police. I am the color REBEL. Let's have fun with these 2019 interior colors and create one stand out hybrid color story. Here are my picks for 2019. We can just call this palette, "Pantone, you're not my daddy and you can't tell me what to do." LOL. These are the six colors I would use to refresh my home in 2019. FYI, white does translate as a color in home furnishings, as it is quite bold and strong to the eye. Colors: Central Mauve (1412), All-a-Blaze (1304), Warm Sienna (1203), Genesis White (2134-70), Aurora Borealis (565), and Galaxy (2117-20). That sums it up, folks. Please reach out if you have any questions for me, or if there is another color topic you'd like me to cover over the upcoming weeks. As promised, tonight we begin the discussion of what Pantone says are the colors for Autumn|Winter 2019|20. Last week I attended their webinar, where Pantone executives reported on a number of themes, fashion motifs, color combinations and attitudes in general about color. In part one of my report, I want to discuss macro themes presented and a bit about some global and cultural trends that are influencing the final selection of Pantone's colors for Autumn|Winter 2019|20. The first global order of business is human's need for connection and personal interaction to counter the increasing sense of disconnectedness that people feel in this digital age and time of artificial intelligence. People are looking to reconnect in authentic ways, and what better way to symbolize connection than through a simple circle? Yes, we are seeing fashion, art and home décor fully embrace the circle and variations of it. Here are some examples from one of Houston's own renowned artists, Gary Griffin www.ggriffin.com. Another major cultural trend is wellness and aging redefined. The statistic shared by Pantone is that 86% of folks interviewed believe that they are not at all defined by age. Hey, I have been trying to tell everyone this forever! We are seeing a proliferation of mature models in skincare, fashion and even swimwear ads. People are embracing the aging process and taking care of their health better than ever before. Part of this wellness movement focuses on the strengthening of both mind and body. 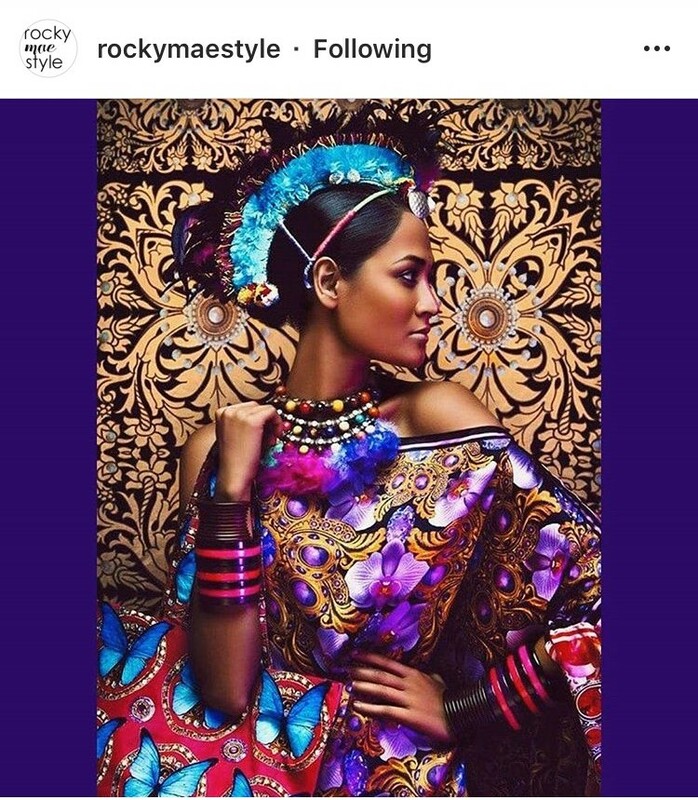 A third major theme is this attitude of maximalism, going bold, creating unique color combinations and mixtures of prints and patterns. Unique, personal styling of pieces is the name of the fashion game. As a color rebel myself, I love to see all of this unfold both on runways and in real life. See one of my favorite Instagrammers in action below. Another trend that I am super jazzed about is a melding of various cultural and global influences to create a type of hybrid fashion statement. It is key to note that this IS NOT AT ALL CULTURAL APPROPRIATION, a hotly debated topic of the day. We are seeing essentially an appreciation for many different cultural influences, a respect of them, and a new blending of many of their elements. I have a lot more information to share with you folks next Monday. We will continue the discussion as I detail several color palettes for Autumn|Winter 2019|20 and select my top picks accordingly. Good morning and greetings from the LFB Color headquarters! I just didn't have a clever title for today's post. Nothing zesty or catchy struck me, and in the past that would have kept me from writing a blog post at all. Now I realize that it is far better to just write the darned post and not worry about hash tags, clever titles, optimal marketing lingo, etcetera. Last week my client SRH Paint Co decided to expand his Benjamin Moore business a bit by bringing in window treatments by Hunter Douglas. Paint and window treatments do go hand in hand, no? SRH has had the display in the store for some time but didn't have a designated Hunter Douglas rep. That's where I come in. We decided to send me to Hunter-Douglas school so to speak. I completed three exams, watched a ton of videos, and learned about a line of over 26 products. Needless to say, I did not learn EVERYTHING there is to know. As a big picture thinker and one to focus on why and how anyone or any product can enhance my life, I created my own list of what I'd want to know about Hunter-Douglas products if I were considering them for my own home. DISCLAIMER: I am not being paid by Hunter Douglas to write this post, and it is not at all written for advertising purposes. These are my opinions about the products after having been trained and certified on them. 1. All Hunter Douglas products, systems and components are made and produced in the United States. That keeps quality control standards in house, high and more easily controlled than if the products were produced internationally. 2. All Hunter Douglas products come with a lifetime guarantee. They mean it. If 20 years from now something malfunctions, a Hunter Douglas rep will either replace that product for you or offer a comparable one at no charge. That is CLASSY and how business should be done. 3. Cut your energy bills dramatically with the right Hunter Douglas products. I could go on and on and give you data to support this, and explain which products do what, but I will spare you. Suffice it to say that Hunter Douglas prides itself on a product line that is THE MOST energy efficient in the global marketplace. Period. I have studied some of the reports to see that the blinds often pay for themselves within the first year alone because of energy savings. 4. Here's the fun part. As a color "tamer" as I called myself last week, I can help YOU match and coordinate window treatments using your color inspirations, textiles, décor, paint chips or whatever else you bring to the store for me to evaluate. We can have fun with color, create flow and harmony in your home, AND select window treatments that serve the intended function AND are aesthetically pleasing to you. Speaking of working with me on color, there are two ways to do so, friends. You can either make an appointment to visit me at SRH Paint Co in Spring, Texas, OR I do make house calls. Either way, reach out to me via text 281-989-4086 or email lauren@lfbcolor.com. In-store consultations are always complimentary, but I do charge consulting fees for in-home appointments. The great advantage of calling me out to your home is that we can evaluate colors in your space, factoring in your lighting and testing color boards and such on all of the walls in your home. Okay, I am off to write the next blog post all about Pantone's color forecasts for the year 2020!! Greetings, friends and fellow color lovers! Thank you for your readership and for following me on this long and winding color journey. If you have noticed, I am actually posting weekly on the blog. This is intentional and no small task for a fly-by-the-seat-of-my-pants kind of girl like me. This week I explain all about what I do in the field of color, because now I operate three areas of business. Check out this 10-minute Facebook Live video that was recorded today with my brand photographer friend Victoria Garcia of www.victoriagarciastudios.com. In the video, I discuss the three types of color consulting I do: personal color analysis, business color consulting, and paint or surface specification for homes and commercial property. Last week I completed an in-home color consultation for my client who is selling her 4500-square foot home. She needed my help selecting new carpet, countertop, backsplash, wood flooring AND paint colors. She wanted a refreshed look to make the home easier to sell. Basically, I was in color heaven getting to choose all of these surface colors!!! My client was specific to tell me that she wanted to avoid the use of creamy, earthy, beige, or yellowed colors on the wall. She wanted to select colors using variations of white or even greige. We spent the next two hours walking from room to room with my large color board samples, recently purchased from www.mariakillam.com. After each color consultation, I provide my clients with a full report listing colors chosen for each room of the house. See example below. We include paint color name, code and recommended finish or sheen. 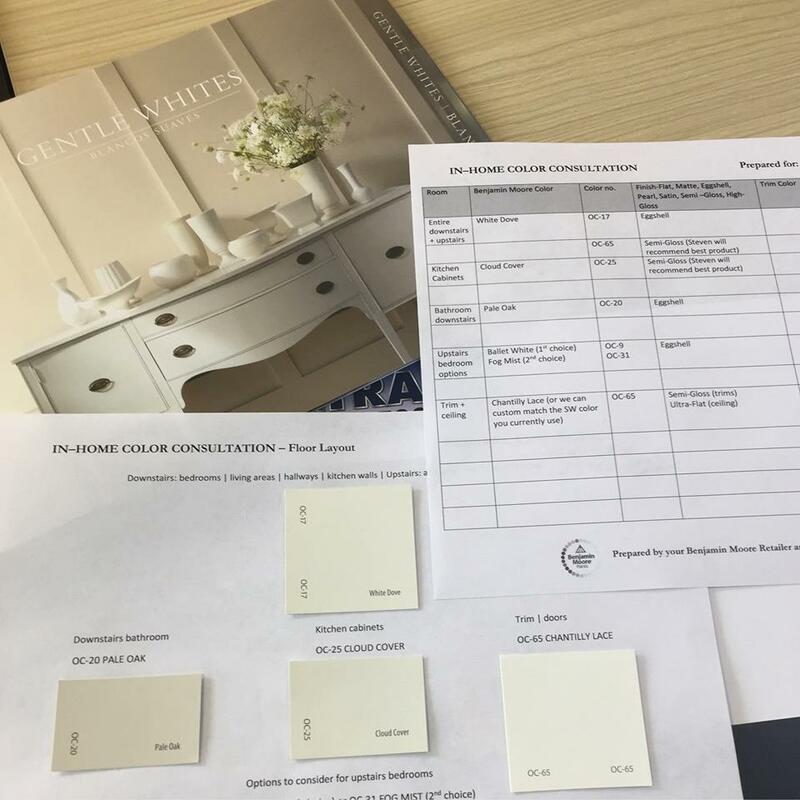 This is the color report I completed for my client looking to use whites and off-whites in her home. Now, at first glance these whites I specified look similarly, do they not? On small paint chips that is true. There is not a HUGE difference, but paint those colors up on expansive walls and you WILL see differences in them based on their undertone, lightness or darkness AND temperature (how cool or warm they appear). This brings me to my final point. Even after receiving over 5 color related certifications in multiple areas of the industry, I still do not refer to myself as a color expert. I am very qualified to work in color, and my approach is both methodical and comprehensive. I am skilled and experienced......for the record. The reason I do not claim to be a color expert, friends, is because color refuses to be dominated or boxed in. It is difficult to pin down, and there are often multiple color solutions to any given problem or scenario. Not to personify color or anything, but color has a mind of its own. The same color changes appearance depending on the surface on which it is painted, the paint finish, time of day, what other colors surround it, and a myriad of other variables. Color is tricky and squirrely that way, no? Instead of calling myself a color expert, I call myself a color tamer. I tame color to make it work for you on your person, in your home or for your business. How do I tame color, ladies and gentlemen? Well, I factor in all of the surrounding colors in any given room or in a person's natural coloring, THEN I select colors that will harmonize with them. I also like to rebel with color. Once you know the color rules, then you can bend and even break them. Color breaks its own rules all the time anyway. Why not roll with it? Speaking of color rules, please do comment below with any questions you'd like to see answered in my blog posts. Color questions for beauty, fashion, image, business branding, what's on trend in any industry, and home/commercial paint or surface selection are all welcomed. Please ask away. I am here to answer your questions...….. Paint DIYers: Who's down for some special effects paint projects? Greetings, friends and fellow color lovers alike! I just sat in on a 2-day Benjamin Moore product training last week in Dallas, and learned that there are specialty paints for everything from sinks to garage floors to football fields and tennis courts. Paint is anywhere there is a surface. This had me thinking about the DIY world, where creatives come together and do innovative things with everyday items. As a busy mom and professional, I don't have time to do a ton of DIY painting projects. My daughters, however, are interested in painting and redecorating their rooms, so we are currently exploring options. PHOTO DISCLAIMER: Please note that almost all of my photos presented at this point have been downloaded either from Pinterest or selected from Benjamin Moore's website, and it will be that way until I start doing some of these projects myself. I do my best to credit the photo source, and in most cases include a link. Here is the inspiration piece for my 12-year-old's room décor. (I did snap this photo! )This painting was gifted to me by a very special friend, and we knew we'd incorporate it somewhere in the home. The overall color scheme my daughter wants includes warm deep reds, golds and metallic glaze over some of the walls with an accent wall in black chalkboard paint. We have our work cut out for us, don't we? A color palette we are exploring is within Benjamin Moore's Williamsburg collection in CW-325 Brickyard Red + CW-255 Palace Arms Red + CW-425 Palace Ochre + CW-430 Scrivener Gold. While we're at it, let's add glitter to the mix, shall we? My daughter feels inspired by that, too. Below you see Benjamin Moore Studio Finishes Glitter Effects added to the wall color. At this point, I am looking at painting two red walls, one gold wall, and an accent wall in chalkboard paint. Oh my word! GOOD TO KNOW: This is a top coat paint, dries very hard and is soap and water washable! Let's not kid ourselves.....children's rooms get dirty and so do the walls. Apply this glitter effect on any color to reveal a transparent, iridescent look. We also talked about mixing silver and gold metallic, and painting a furniture piece in Benjamin Moore Studio Finishes Molten Metallics is an option. See this piece below. GOOD TO KNOW: The Molten Metallics are oil based colors, not glazes or topcoats, so you use it as a paint. The finish achieved will look like hammered metal. It dries to a very high gloss finish and can be applied to almost any surface. Last but not least, let's have a crack at a chalkboard paint wall while we're at it. 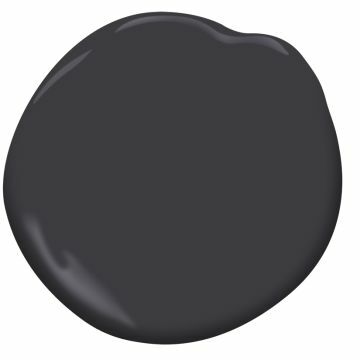 Benjamin Moore manufactures ben chalkboard paint that is offered in thousands of colors, but we are going with either charcoal gray or black ourselves. GOOD TO KNOW: You will usually need at LEAST two coats of chalkboard paint. Once that has dried, allow at least THREE DAYS for the paint to cure before writing on it with chalk. It seems by the look of things that I am setting myself up for an entire year of home improvement and DIY projects. We are putting the finishing touches on Pergo flooring on our second floor, then we paint the interior walls of almost every room minus the girls' rooms. I will post more photos as we start each project. Greetings, color aficionados! 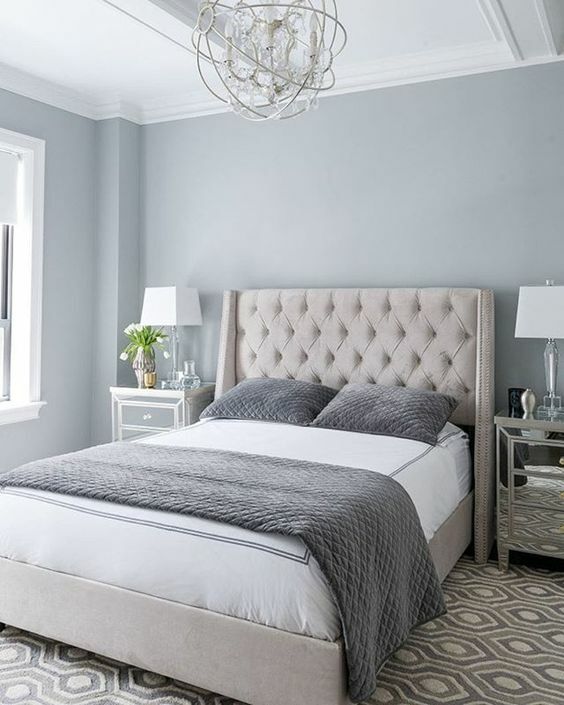 If you are visiting me here on the blog, then you have figured out that I am really into paint color lately, and Benjamin Moore to be precise. My client SRH Paint Co. of Spring, Texas is a Benjamin Moore dealer, and my job is to help his customers specify color the right way the first time. From the get go, I confess that paint color selection used to utterly confound me, the color professional. Yes, I would beat myself up because I couldn't be decisive on paint for my home based on a small color swatch the size of a matchbook. Guess what? Even color professionals with a trained eye cannot specify color so well with just a small fan deck. Take heart. Today you will learn 3 ways to simplify the process for yourself. If after reading this blog post, you still need help and are in Houston, Texas, please call me 281-989-4086 or email lauren@lfbcolor.com, and we can schedule an in-home, full service consultation for you. Tip # 1: Work within a particular collection of paints. Don't overwhelm yourself by looking at all of Benjamin Moore's colors when there are over 3,000 of them. Each collection has a particular look, feel or function. The Off White Collection offers light, airy options other than just pure white. If you are looking for the look of white or neutrals, then consider this collection. You will also find greys, beiges, greiges and taupes contained. If you are afraid to paint color on your walls, then this is a good collection for you. The four images below are taken from www.benjaminmoore.com. All of those colors belong to the Affinity collection, our most muted color palette. They are also formulated to mix and match with one another seamlessly. Pick any 2 to 3 Affinity colors, and they work together! Tip # 2: Paint up color boards to test your top 2 to 3 color picks. Like I said, it is nearly impossible to select paint color using a little fan deck of swatches. Buy pint samples of your top 2 to 3 selections, then paint each color (flat finish) onto thick card stock or poster board in 11 x 14" or larger size. Buy an even larger plain white poster board to cover existing walls or surfaces painted in the old color. The goal is to remove the distraction of the existing wall color to focus only on how the new color will look. Set the color board against the wall and up adjacent to (touching) the trims, cabinets or other fixed elements surrounding the paint. Do this around several parts of the room, always with the white board covering existing wall color. You will set the white boards behind your painted boards. Seeing color in a larger area makes it easy to see different undertones and intensity in each of your selections, and makes the final decision much easier. 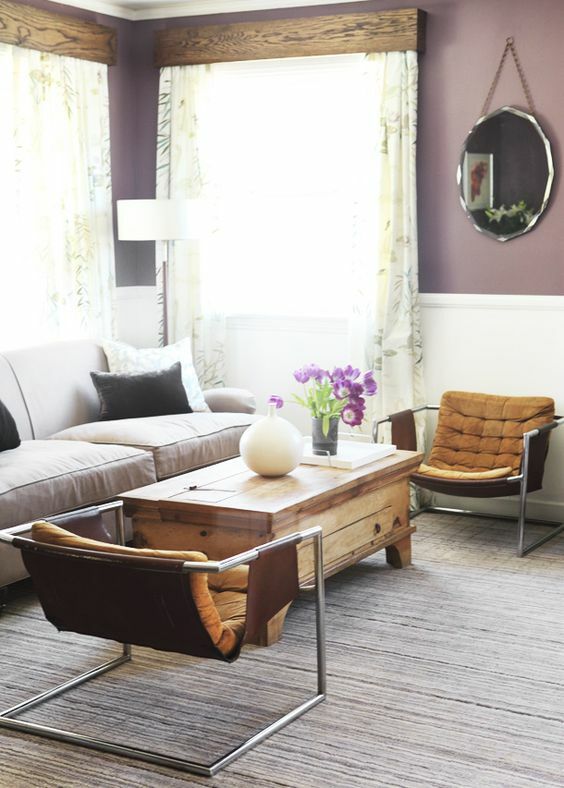 Tip # 3: Don't mix bright/clean colors with soft/muted colors. This tip is probably the most valuable tip I can give you. Saturated colors look best with other saturated colors, and when your permanent elements such as countertops, cabinets, carpentry and furnishings are black, white and gray. The stark contrast among these colors and their saturation almost require the same strength in painted surface colors. See the first example below on the left, using the color Vermilion, a very saturated red from Benjamin Moore's Color Preview collection. If your permanent fixtures and furnishings are muted, toned down and/or earthy, then you will need to select an equally muted paint color palette. See the second example below, which also displays a red. 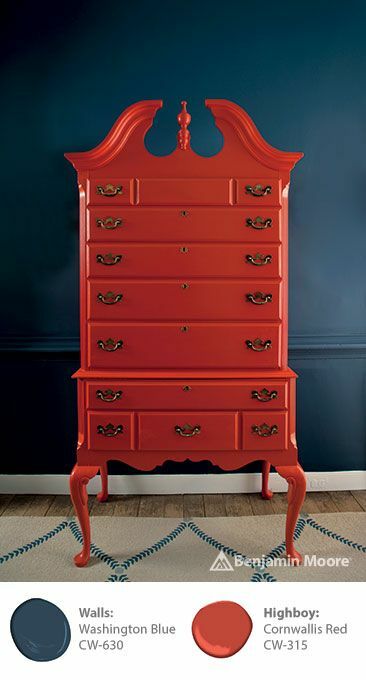 This is Cornwallis Red from Benjamin Moore's Williamsburg collection. Note that the red is toned down as compared to the Vermilion above. I keep being told at the paint store that selecting paint colors is an emotional experience for many, and I see how that could be true. Because I sit and analyze colors all day, I tend to forget that! In the end, how YOU feel about a color is the most important part of all of this. If you narrow it down to 2 or 3 good color choices, then select the one that resonates most with YOU! Good day, color lovers! 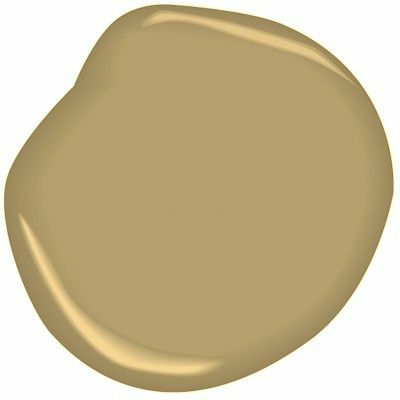 I have before me a fun yet relatively straightforward task; that is, deciding on one singular paint color for all of my living areas and bedrooms. Moving forward, I am going with a neutral, earthy color palette while bringing in white, cream, linen and green accents into the home. In years past, I went overboard with saturated colors from mint green to orange to Ronald Mc Donaldesque reds and yellows. I wondered why my children were quite literally bouncing off of the walls. Overstimulated much? Nowadays, I seek a calming and visually restful color palette for my home. After attending Maria Killam's 3-day Specifying Colour With Confidence workshop last month www.mariakillam.com, I realized that classic, timeless interiors form part of my aesthetic much more than do the vibrant hues I favored years ago do. You'll see that my main inspiration is anything botanical. I plan to bring in plants and incorporate shades of green in accents such as artwork and throw pillows. My front door and bathrooms will also be painted in green tones. My front door is flanked by two tall narrow windows and cream colored brick, but you can envision how this toned down Bunker Hill Green from Benjamin Moore Classics collection will look. 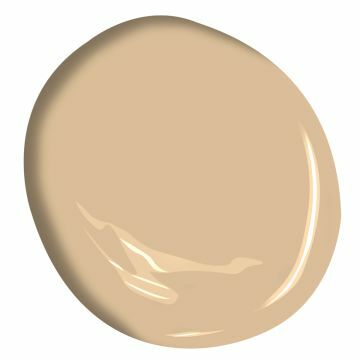 Terra Bella is part of the Affinity collection, which is Benjamin Moore's most muted color palette. With my earthy, muted floors, I do not want to go too bright or "clean" with my wall colors. Here is an example of Terra Bella, and the floors featured have the same undertones as my Pergo flooring in Applewood. I will definitely keep you posted and show you the color boards I paint up, along with my final selection for wall color! Greetings, fellow color enthusiasts. Let's talk paint, but not just paint color. I want to focus today on what I am learning about the Benjamin Moore brand. Before I begin, know that I am not being sponsored by Benjamin Moore to write this post, and it is not an advertisement. As I am about to repaint my entire home, now I'm REALLY focused on doing things the Benjamin Moore way. Here's what I am learning, folks. 1. 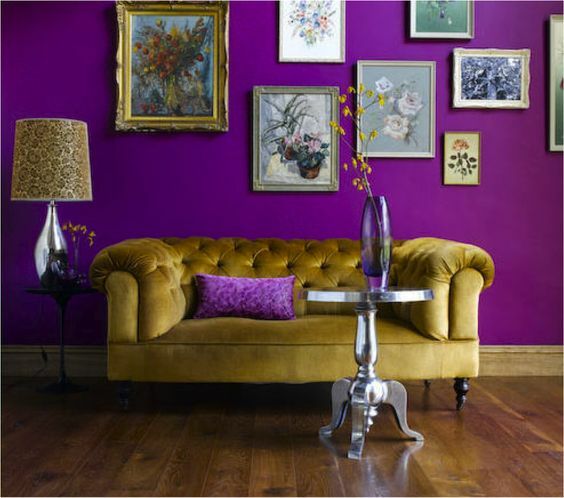 Benjamin Moore uses their own colorants and pigments to create paint color that maintains its vibrancy and resists fade! Translation: Buy the better quality paint once to avoid having to repaint or having to use too many coats. 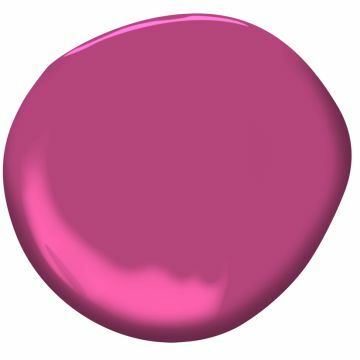 I'm thinking about painting my own front door in Benjamin Moore's Aura Grand Entrance in Wild Blueberry. Note: Aura Grand Entrance is for exterior doors and trim. 2. Let's talk humidity. It is a way of life here in Houston, Texas! Aura Bath & Spa is designed specifically for areas exposed to humidity, such as bathrooms. This paint is mildew resistant and comes in a soft matte finish. Frankly, I am contemplating using it in my entire home, because the finish allows for repeated washing with no color rubbing off as a result. I have 3 kids who have historically been rough with my walls. I want to explore light greens in all of my bathrooms this year. My pick is Sweet Celadon CSP-785. Check it out! 3. With paint, we usually worry about color last believe it or not. First we focus on what properties are needed for the given space. As a color consultant, I obsess over color and all of its nuances.....period. The same holds true when I specify paint colors for other people. If we select a color, we don't want it "grayed down" or looking dull. 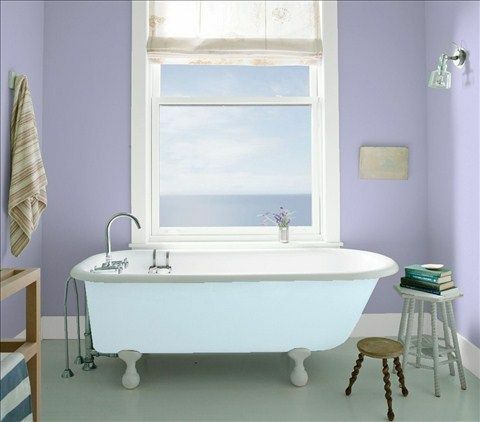 With Benjamin Moore, there are over 4,000 color options, so finding the right hue is never an issue. First we look at paint functionality for any given space. For exteriors, we focus on durability and fade resistance. For interiors such as ceilings, we look for finishes that hide imperfections. For high traffic areas such as kitchens and playrooms, we look for good "scrubbability." Next week I am attending a two-day paint school with Benjamin Moore to learn all about the paint options within their entire product line, which of course is expansive. As I learn more, I'll teach you what I know, so do stay tuned! I am elated to announce the addition of my first corporate client, SRH Paint Co. of Spring, Texas www.springbenjaminmoore.com. Owner Steven Hill operates this Benjamin Moore store, and we are collaborating with me now serving as his exclusive, full service color consultant. Steven and his family have been in the paint business for decades, so his industry knowledge is expansive. His store manager, Daniel Ruiz, handles day-to-day operations and is extremely knowledgeable about paint mixing + the ins and outs of the industry. I am blessed to collaborate with this powerhouse of a team! For my part, I just returned from advanced color training with world renowned Maria Killam www.mariakillam.com. (More about the True Colour Expert training with Maria is forthcoming in another blog post.) This partnership makes full use of my years of color training and experience across multiple industries and applications. I'm essentially applying my years of experience in retail + fashion + cosmetics to the realm of home interiors + exteriors. As stated, LFB Color (yours truly) is SRH Paint Co.'s exclusive color consultant. Not all paint stores offer this service, and they certainly do not all offer full service color consulting as we do. You can either come to the store with your inspirations, fabric or tile samples, and color ideas for me to pull together paint palettes for you, OR you can hire me for an in-home color consultation. What is a color consultant and why do I need one? As a full service color consultant, I look not only at paint colors, friends, but also at all of the fixed elements (flooring, furniture that will remain in a room, countertops, sink fixtures, etcetera) in your home. The goal is to create flow, or visual harmony, in your home by accounting for all of the undertones represented in those fixed elements. Simply put, I only select paint colors that bring the rest of the elements of your home into harmony. I also have a curated selection of 100 hand painted color boards for use during in-home color consultations. It is almost impossible to accurately specify color using a small paint chip, which is why we use the color boards. During a consultation, I might make recommendations for replacing throw pillows, area rugs or other color "distractions." In some cases, I even recommend replacing some fixed elements where there are too many undertones represented in one area. I also create at least 2 color palette options for you, my valued client, to consider. A good color consultant narrows down colors from over 4,000 to just a small handful of choices for every client. To learn more about working with me on YOUR color scheme, please call 281-989-4086 or email lauren@lfbcolor.com. Stay tuned here on the blog, as well as on my Instagram page www.instagram.com/lfbcolor, for tips on paint color, selecting palettes, color trends and home décor! I cannot wait to continue the color dialogue with you, my friends.